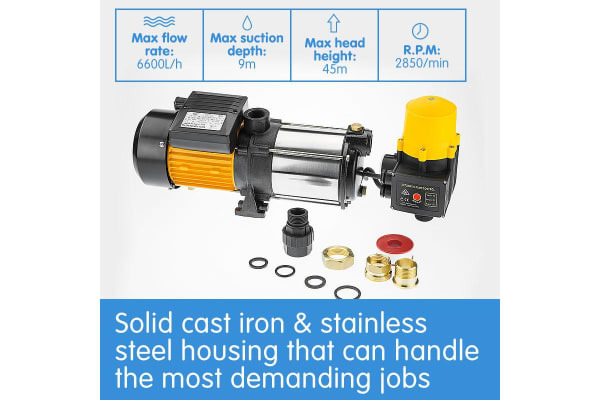 This multi stage unit has aluminium motor housing, a stainless steel pump body and is forced-air cooled to reduce heat build-up. This powerful unit is suitable for indoor/weather protected use for general household supply, water transfer, pressure boosting(Not water from ponds, lakes, rivers etc) . 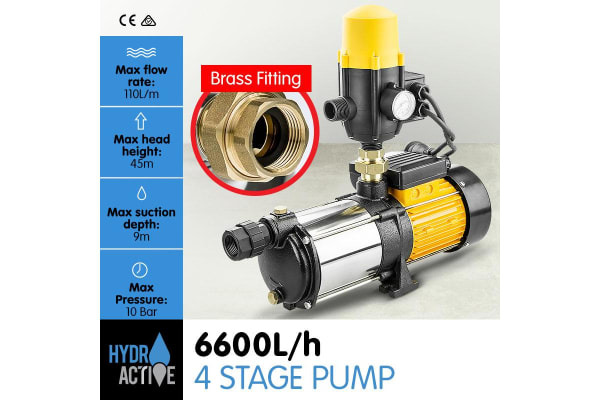 Able to pump massive 6600 litres per hour/ 110 litres per minute this pump is designed for pumping clean tank water which is connected to a system where the water flow is controlled with a tap. Some 2500 watt power draining monsters not only pump up plenty of water but they also pump up your electricity bill!!!! 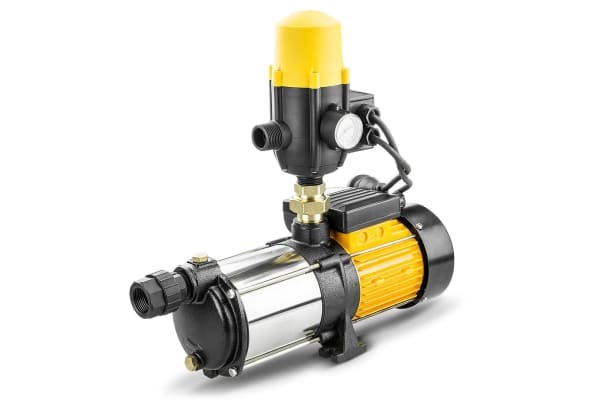 At 1000 watts this pump is much, much cheaper to run and will still pump plenty of tank water for garden irrigation needs.Plus it won’t empty your water tank in no time flat.